Asparagus and Green Lentils with Poached Egg is an impressive-looking brunch dish perfect for Spring. 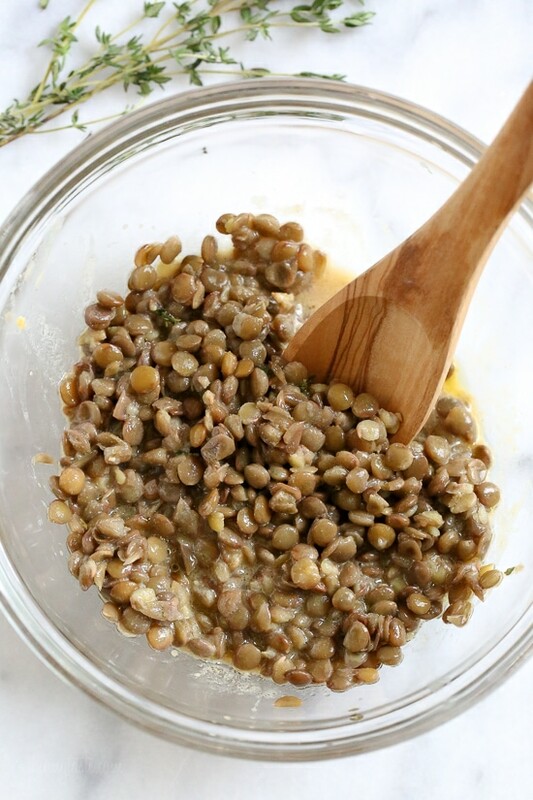 The cooked lentils are tossed in a Dijon vinaigrette. 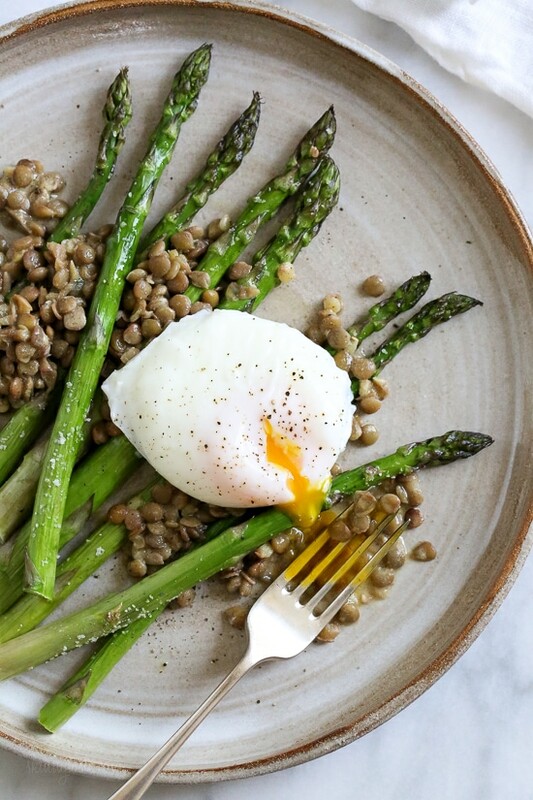 The yolk from the poached egg makes a velvety sauce over the roasted asparagus and lentils. Crisped proscuitto or bacon could also be added if you want to add some meat to this dish, although I thought it was pretty perfect as is. This recipe is from the Pulse Revolution Cookbook written by Tami Hardeman, who is also a food stylist who worked on my latest cookbook. Her book features 150 creative superfood vegetarian recipes – everything from breakfast to dessert. All the recipes have the macros listed. The chickpea and cherry salad is on my list to try as soon as cherries are in season! Pulses are a class of legume which are harvested after they’ve been dried from the pod such as dry beans, lentils, dry peas and chickpeas. They come in all sizes from tiny beluga lentils to giant fava beans. In this recipe, Tami calls for cooked lentils. I cooked them according to package directions, then rinsed them after but you can also buy them precooked to save time. Preheat the oven to 350F. Toss asparagus with 1 tbsp oil, arrange on a baking sheet in a single layer and season with salt and pepper. Roast about 10 minutes until tender. Meanwhile make the dressing, in a medium bowl combine the red wine vinegar, Dijon, thyme, and remaining tablespoon oil. Whisk until emulsified. Add lentils and stir to combine. Set aside and let lentils absorb the dressing. 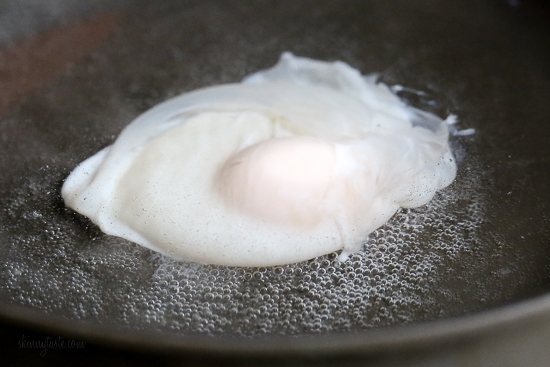 To poach the eggs, fill a large saucepan with water, about 1 1/2 inches deep. Bring water to a boil, then reduce to a simmer. Add white vinegar. One at a time crack the eggs into a ramekin and tip egg into water. Cook 3 minutes. Remove and place on a plate lined with paper towels to absorb water. 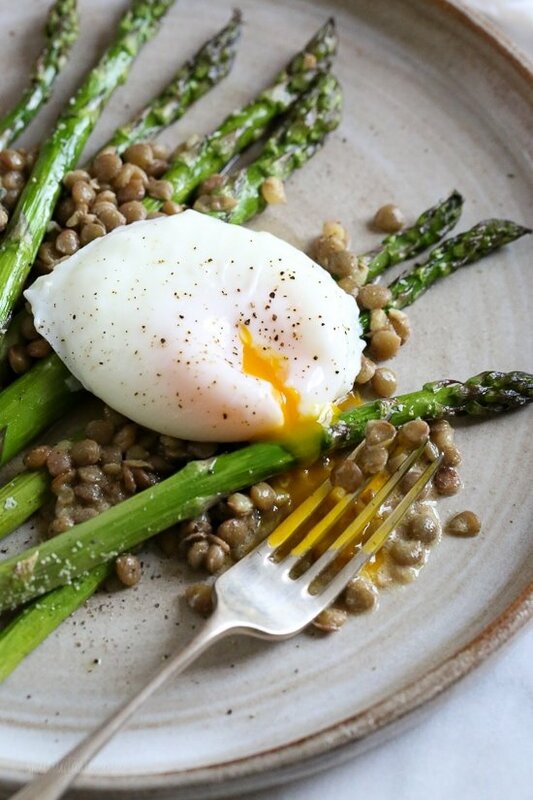 To serve divide asparagus on 4 plates, top with dressed lentils and place one egg on top. Season with pepper and serve right away. I just made this tonight. My husband I thought there was WAY too much vinegar. It was very sharp, and we normally like bold flavors. Is there a typo? Was there supposed to be 2.5 teaspoons of vinegar? Anyway, in theory this would be good if it weren’t for the vinegar. I’ll try it again with less vinegar because I do think it’s a great concept. Any suggestions for cooked eggs? I’m not into the runny stuff? You can prepare the eggs any way you like. This recipe is amazing! I just made it for a late/light dinner. It was wonderful and quick to put together. I ended up using the packaged pre-cooked lentils from Trader Joe’s. They worked out! Thanks for the post. My belly is happy! 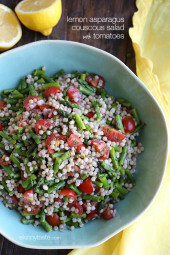 I only had quinoa on hand so I made that instead of lentils – turned out great! I have an egg cooker that I bought from Amazon that does perfect poached eggs, two at a time. I can see adding another egg to this dish and calling it dinner. 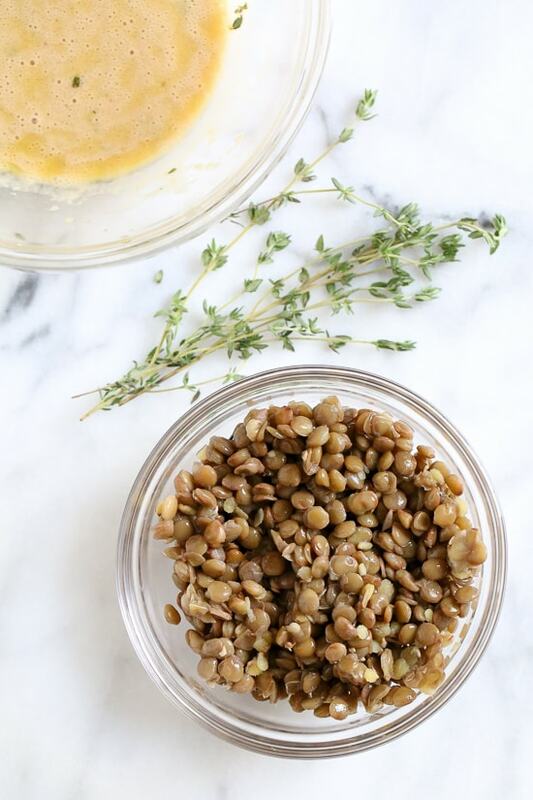 Using precooked lentils makes it even easier. Before Weight Watchers, we used to make roasted asparagus and top with fried eggs. I think this version sounds even better. 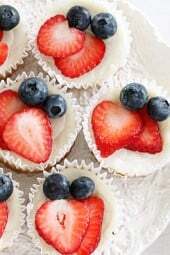 Gina, for real, everytime I see your recipes, I end up bookmarking them. Your picadillo recipe has been my go-to for weeklong meal prep to take my lunch to work. Add some rice and I’m set for the week! Can’t wait to try this one, it looks wonderful! Aww I am so glad to hear! What plates do you use in the styling for this photo? I love them! Looks delish – sorry for the dumb question, but how do you recommend cooking the lentils? I’ve only made them in soup. Thanks! I basically followed the package directions. Can’t wait to try this! So far my only foray into lentils was a sloppy joe recipe. Your pictures always make me want to branch out and try things I wouldn’t normally. 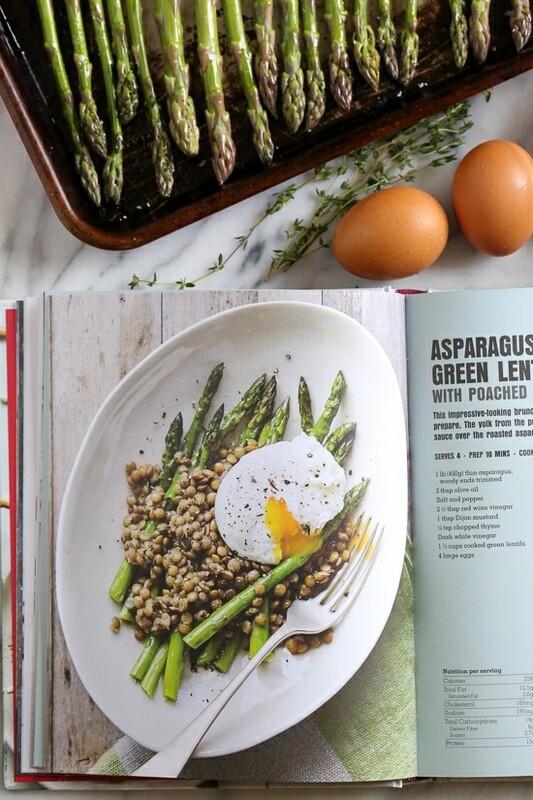 I would have loved the egg and asparagus but wouldn’t have thought to add lentils- however, I’m going to bet the dijon sauce the lentils are tossed in is going to set it off!! Thanks so much for the great food! The dijon dressing really makes it! I have two books, but they don’t have all the recipes on this blog, just a handful. The books are amazing! I highly recommend. Could you do a post on your best tips for integrating them into family meal time? I’m having a hard sell back at home. Start with recipes the family would like, black bean burgers? 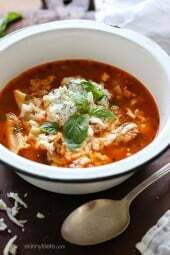 My lentil chicken soup is really good!